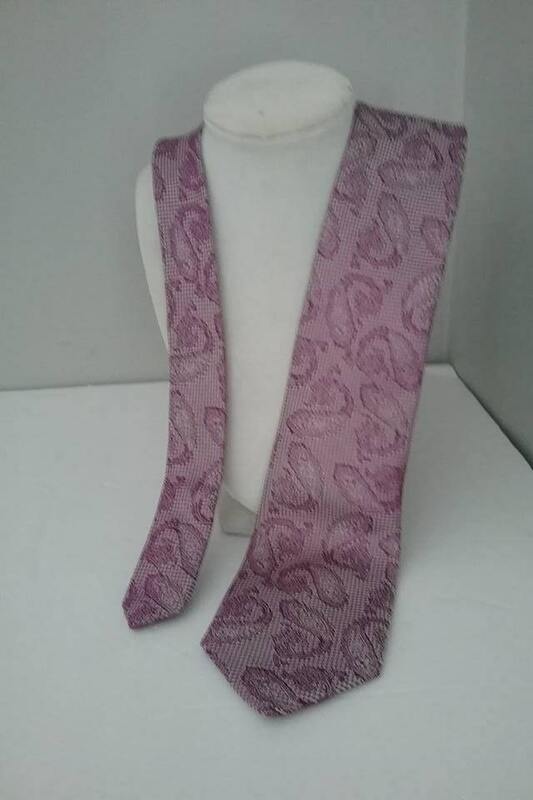 1980's Men's French Silk Tie by Daniel Hechter. 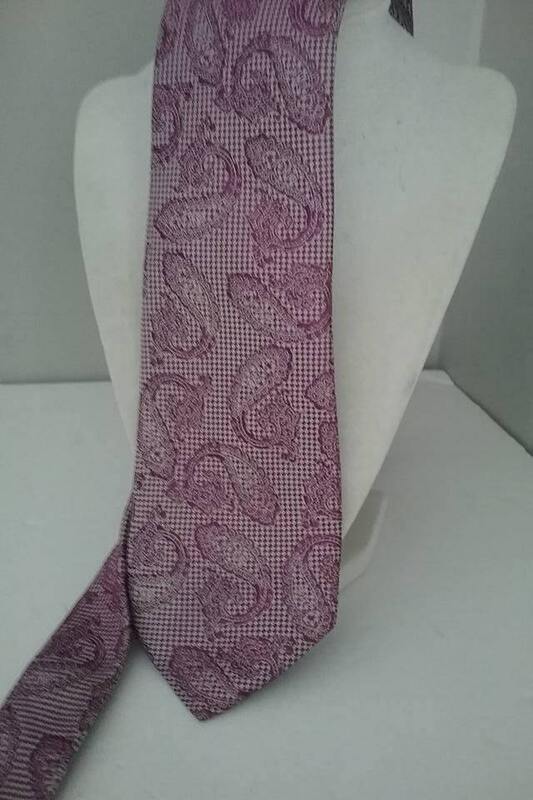 Men's necktie, French designer, Daniel Hechter, 100% silk tie, vintage design 3" at widest x 1 1/2". 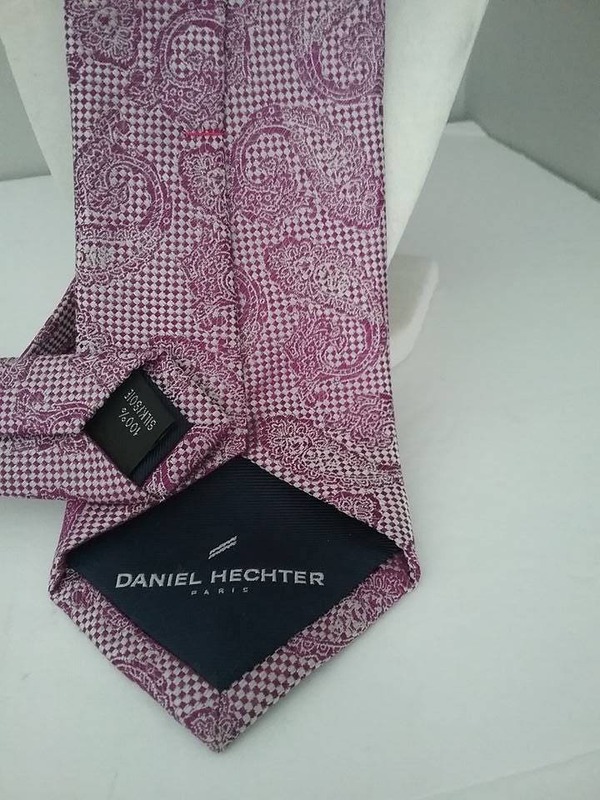 Daniel Hechter logo on inside lining. Separate keeper. 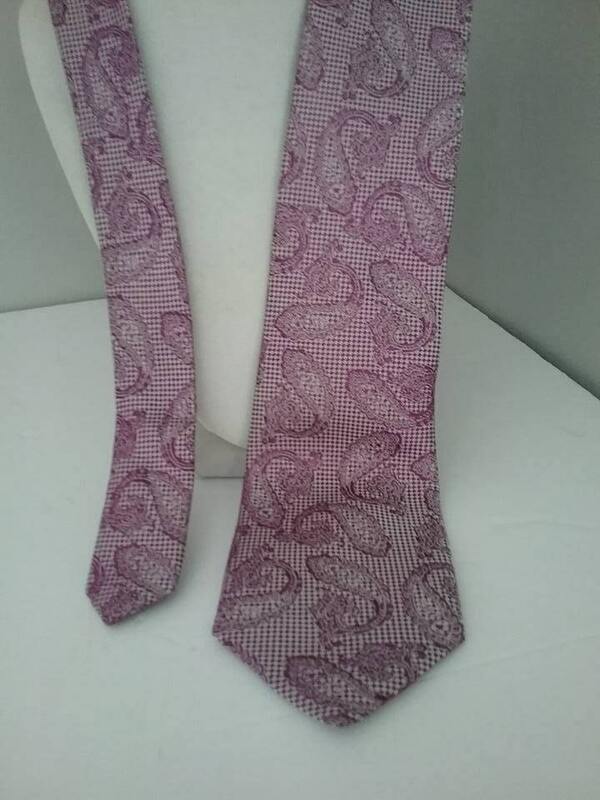 A gorgeous sheen from the block print behind large paisley sweeps. Truly, a designer look, that is affordable. Excellent vintage condition.